Produces crystal clear conical ice. No side clearance required. Air is drawn in and exhausted from the front. 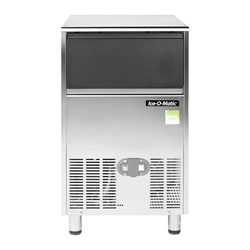 ICEU66 Self Contained Gourmet Ice Maker Produces crystal clear conical ice.